When you begin to search online for the different varieties of Kush Seeds, you will find that there are numerous cannabis seed strains available today. With such a vast choice available, it can sometimes be difficult to select the best Marijuana or Cannabis seeds for your needs. To assist you in selecting the correct varieties of seeds, here are the three varieties that all Kush Seeds fall into, and a brief description of each category. Feminized Kush seeds are called also known as female only Kush Seeds as they are 99.9% guaranteed to produce only female Kush Marijuana plants. They are widely used by Marijuana growers because it is only the buds of the female Kush plants that produce the medical Marijuana buds that many people buy in the Marijuana dispensaries. Although relatively easy and simple to grow, a degree of care must be taken or feminized Marijuana seeds can revert to displaying male flowers by turning hermaphrodite. As they have been modified to become female only plants, the feminized varieties are sometimes slightly more expensive. 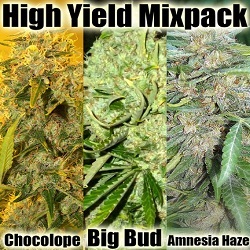 Many of the original and natural Kush Marijuana Seeds are available only in their natural form. These natural or Land-Race Kush strains are often used by larger scale, outdoor operations to produce seeds for the following years crop. 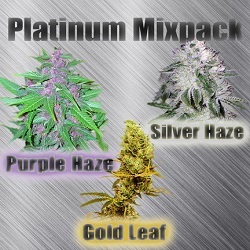 When buying these seeds, expect to grow Marijuana plants that do not really possess any characteristics that are out of the ordinary. They are basically just regular, just as their name implies. Regular Kush seeds purchased from reputable breeders including Sensi Seeds, Ace Seeds and DNA Genetics contain some of the best natural genetics available. 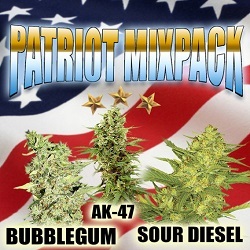 Unlike their feminized counter-parts, these Kush seeds have not been genetically engineered or modified in any way. Through selective breeding between original Kush Indica Marijuana plants and the wild version known as Ruderalis, it is now possible to buy Autoflowering Kush seeds. They are capable of producing and maturing flowers and buds regardless of any changes in their daylight hours or times. They do not really depend heavily on the amount of light that they get, as they have taken on the quality of cannabis ruderalis to survive in harsh conditions. You should know that since autoflowering kush seeds are specialized, they cost more than the regular seed strains. For that reason, you have to make sure that you have a bit higher budget in order to afford this type of seed. 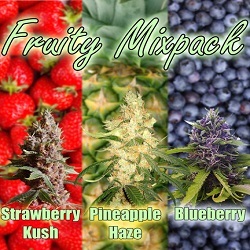 This entry was posted on May 10, 2013 at 8:53 am and is filed under Marijuana Seeds Blog. You can follow any responses to this entry through the RSS 2.0 feed.